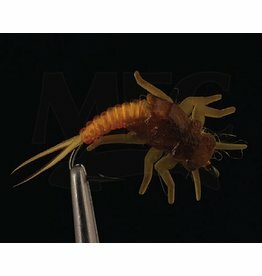 The is an absolutely perfect molting Golden Stone pattern. 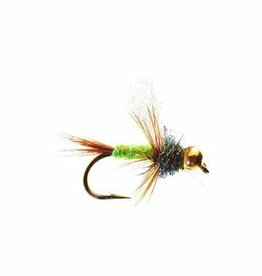 Brilliant color combinations make it very life like. 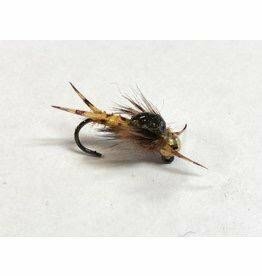 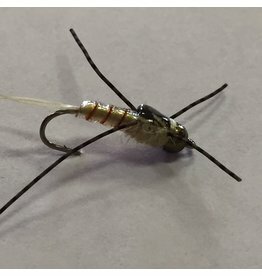 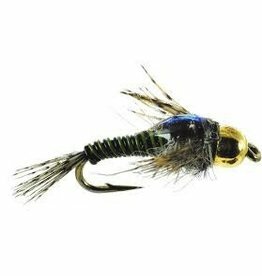 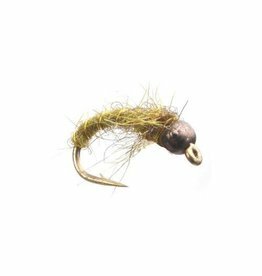 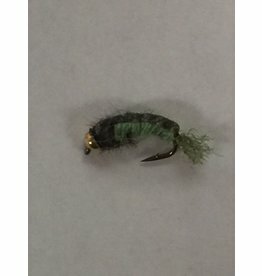 A great anchor fly for Euro or tactical nymphing rig. 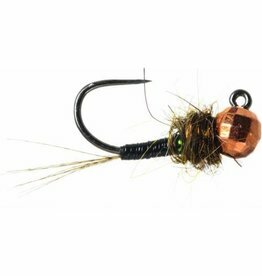 John Barr’s Hare Copper Stone is a new pattern that matches smaller golden stones and yellow sallys. 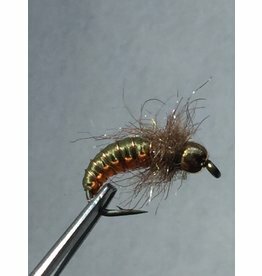 Hare Coppers are a great attractor nymph. 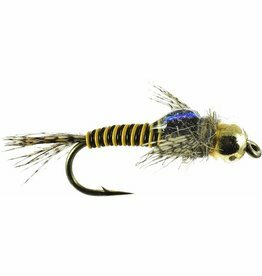 This is one of John Barr’s newer patterns using hare’s ear fibers for the thorax and tail.